The American Planning Association holds a national competition where more than a dozen teams vie for an award that recognizes outstanding grassroots efforts in planning and leadership. This year, three San Francisco high school students won the Gold 2018 National Planning Achievement Award for a Grassroots Initiative for their project, titled Street Air, and a subsequent documentary, Columbus Discovers Air Pollution. "It is an honor for us to be acknowledged by such a prestigious organization as the APA," said student Charlie Millenbah. "We also want to encourage other students to work on local issues they are curious about. They would probably be surprised by how much there is to learn and how they can also help their community." While the competition is open to anyone with an interest, "it's not very common for students to submit entries," said Wendy Shabay, jury vice chair for the competition via telephone. 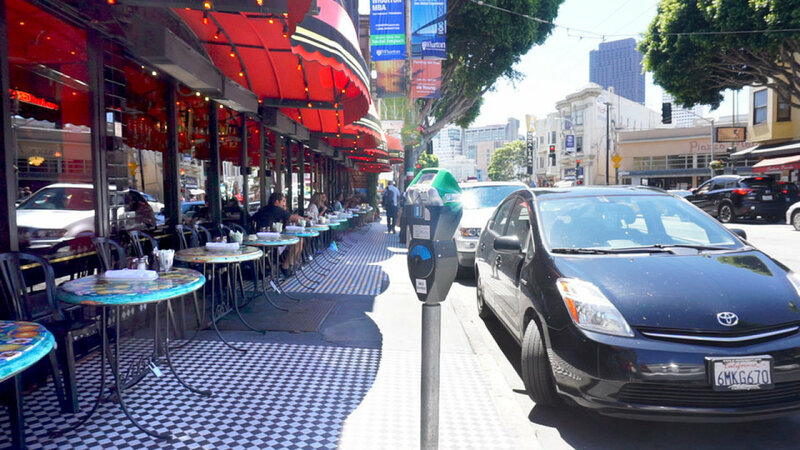 The grassroots project--led by students Zelda Zivny, Milo Wetherall and Millenbah of North Beach--began as an effort to determine what impact increased traffic on Columbus Avenue would have on pedestrians, cyclists and people dining al fresco along the corridor. "We were wondering how bad it could be for us," said Millenbah via telephone, referring to a parklet outside Caffe Greco at 423 Columbus Ave. The students studied how air pollution is measured and its possible human impacts before acquiring monitoring devices to measure carbon monoxide, nitrogen dioxide and carbon dioxide, along with 2.5 and 10 micron particle levels. The team also looked at issues like relative humidity, temperature and wind direction and speed. According to the group, they were able to purchase the equipment with donated funds. The research concluded that increased levels of particulates were found due to exhaust emitted from vehicles, especially from semi trucks, said Millenbah. Reducing the number allowed on Columbus Avenue or re-routing them elsewhere is one possible solution, he added. Additionally, idling tour busses are also a contributor, and the students suggested that the vehicles be regularly checked for particulate emissions. "Overall, we can't stop them from parking along the street," said Millenbah. "Our main goal is to reduce their exhaust." Shabay said the student's project stood out from other entries. "They chose the issue of street pollution, which would typically be a rather mundane topic to cover, but they put a lot of creativity into it." "These students have a stake in their communities, and it's important to get people involved at a young age and understand some of the issues that we deal with in implementing planning and covering a serious issue," Shabay added. The city's Planning Department has also taken note of the project. "We're all excited about Zelda, Milo, and Charlie's work!" said department spokesperson Gina Simi via email. 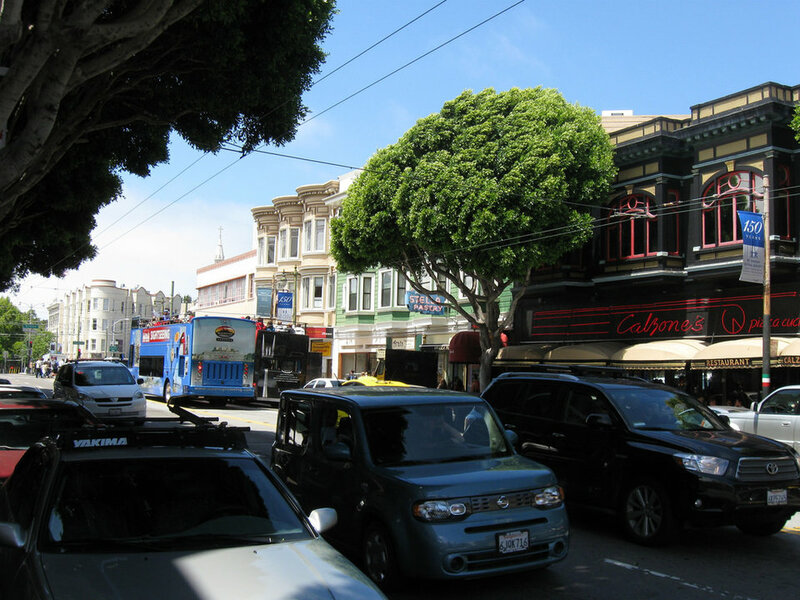 "Not only did they set out to research the connection between traffic pollution and street use, but they also created a set of actionable recommendations that would improve the health of their community and the health of their peers." Next, the team plans to look at how air quality affects employees working in nearby cafes, furthering the experiments to "change policy for the greater good," Mullenbah said. 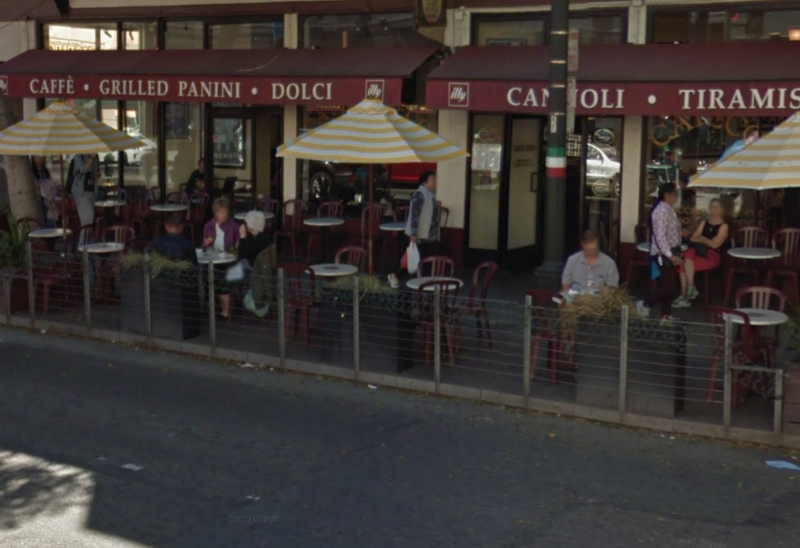 "I also want to stress that there is nothing wrong with eating on Columbus Avenue," he said. "It's just not ideal. It's not in top condition."